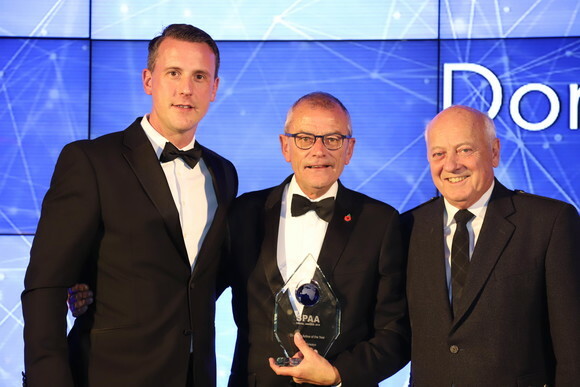 LONDON, UK, 2018-Nov-09 — /Travel PR News/ — British Airways has won the Best Domestic Airline category at the prestigious Scottish Passenger Agents’ Association Awards for 2018. The award was accepted by Keith Chuter, British Airways’ sales manager, Scotland. “Our Scottish operation is a vital part of British Airways’ business. He added; “Our commitment to our Scottish customers has been reinforced by the completion of our new executive lounge at Aberdeen Airport, which was officially opened last month by Her Royal Highness The Duchess of Rothesay. This entry was posted in Airlines, Business, Travel, Travel Awards, Travel Services, Travelers and tagged Agents, awards, British Airways, Domestic Airline, Keith Chuter, passenger, Scottish. Bookmark the permalink.